Giving responsibility to others instead of taking responsibility for them is a key to developing leaders. Here’s why. 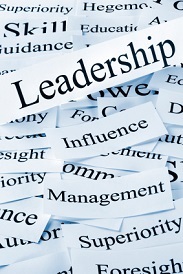 Our capacity for leadership is directly tied to our capacity for responsibility. The more responsibility we can effectively handle, the greater the sphere of influence we are ready for. For example, a bank branch manager needs to have the leadership capacity to watch over five or ten people, schedule their work and manage a single location, all while following a well-defined set of procedures. A bank president may need to supervise hundreds of employees, multiple facilities in multiple locations, and a budget of many millions of dollars. A leader would never move directly from managing a single branch to running a whole bank—it’s too big of a leap in responsibilities. In order to grow as a leader, a person must gradually increase in ability to take initiative and bear responsibility. Our coaching catch phrase for this value is “leaders take responsibility” for their own growth. Keeping clients responsible is an intention strategy for fostering growth. So when I take responsibility for other adults and tell them what to do, I’m not doing the person any favors. In fact, I may be making things worse by stepping in to fix a situation that God has specifically designed for that person’s development as a leader. Leadership coaches keep their clients responsible because taking responsibility is how you grow in leadership capacity. Here’s another example. When your daughter is an infant, you do a lot of things for her: you feed her, change her and burp her. As she gets a little older, you still do the cooking and the driving, you help her get dressed for church and you make rules for where she can and can’t go. You do a lot of “telling” (“Jana—clean your room!”), and you pay for everything. Most of the responsibility in a child’s life still rests with the parent. As she moves into the teen years, things start to change. You are still driving and setting boundaries, but (hopefully) she is doing chores around the house, learning to clean up after herself, and starting to make more of a contribution. At 17, the contrast is even greater. Now she can drive herself to school, go out on her own (with a curfew), set her own bedtimes and pick out her own clothes. She may have a job that is starting to provide for some of her own expenses. You’re still paying most of the tab, but as a teenager she is becoming more independent, and less receptive to being told what to do. Now imagine that same individual at 22. What would happen if her parents treated her in the same way as if she were a 10-year-old? We instinctively realize that something’s wrong with that picture. We’d say either that the daughter never grew up, or that her parents are terribly controlling. In child rearing, the objective is to gradually transfer responsibility, so that when our children come of age they are ready to function as responsible adults. We start in a discipling mode, but in the teen and adult years parents must move to a coaching approach (where we stop giving advice and taking responsibility and start giving responsibility) for our kids to mature. Leadership development operates in a similar way. Since our objective is to increase the person’s leadership capacity (ability to take responsibility), we must allow them to make choices and take risks, instead of doing everything for them. The coaching approach is a perfect fit.